Since 1987, The Village Chimney Sweeps has been providing our customer with warmth, comfort, and beauty. We are experts from the cleaning and inspection of your chimney to the yearly maintenance of your fireplace, insert, or stove. 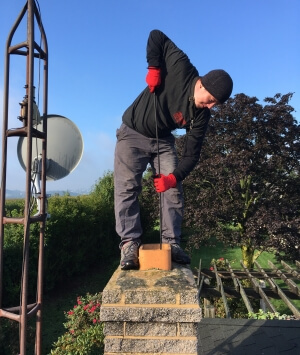 Our team of professional qualified technicians can provide you with a full range of services for your chimney needs. Select from the list below to learn more.